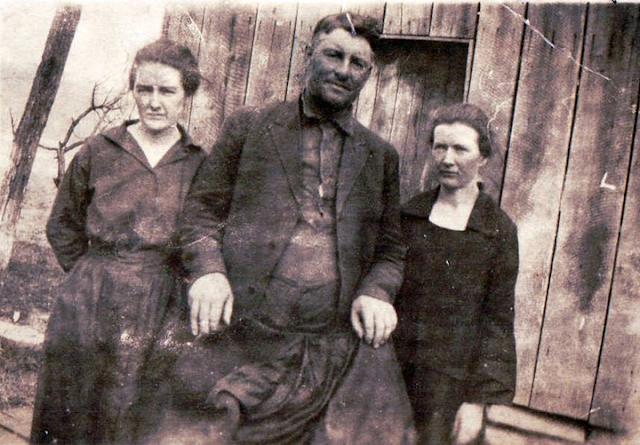 John Morgan Salyer and his half sisters Molly and Julia @ 1910 beside his barn on his farm at the head of the Birch Branch of the Burning Fork of the Licking River, Magoffin County, KY. John would have been 28, Molly 20, Julia 13. – Image & caption reused from the blog of Sharon Isaac (see linkes at end of article). I once heard a fiddler call John Morgan Salyer “the foremost genius, the Mozart of Old Time”. I can’t really argue with that. Salyer is known for crooked tunes, percussive bowing and a unique phrasing that, like so many things in the old-time world, you just have to hear for yourself. When it comes to Salyer, we are very fortunate to have access to ALL of his 84 recordings – entirely for free. You can download them all from Berea or the Digital library of Appalachia. But let me make it easier for you: this thread on Fiddle Hangout provides a link to download almost all of Salyer’s tunes (NB: four tracks are missing). 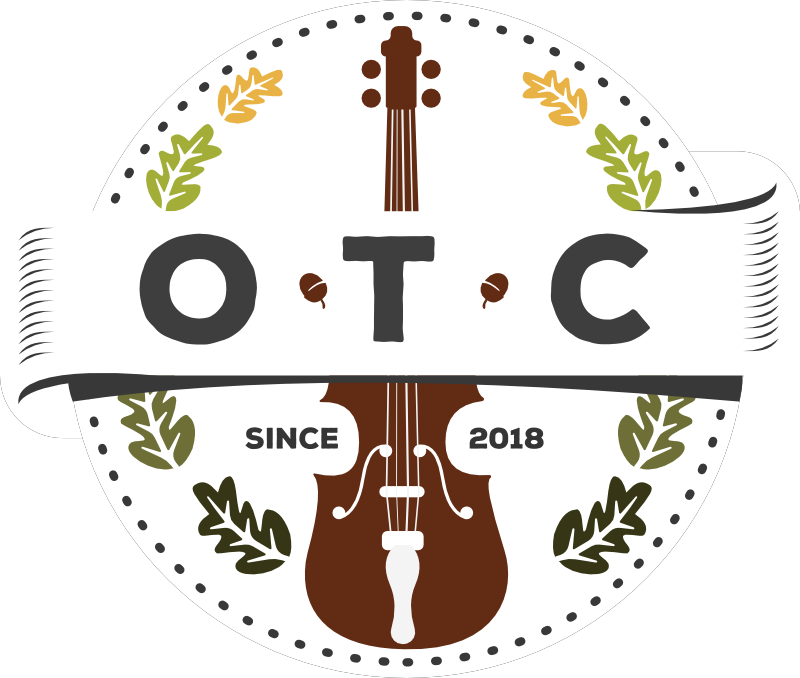 At oldtime-central.com, we were very fortunate to get permission from David Lynch to repost the “Fiddlers Hall of Fame” texts from from the now-defunct website oldtimemusic.com. We’re very grateful for the work he put into that website and hope to keep it alive. What follows is a digital “re-printing” of the extensive biography from that website. A short biography at the beginning was deleted, because the rest of the article repeats the same information. The article below has been updated to include new pictures, as well as links to recordings of several musicians mentioned in the article. The text is unchanged apart from a few minor edits. If you prefer, you can still view the original here using the wayback machine. John Morgan Salyer was one of the last of the great traditional fiddlers of eastern Kentucky. He was born into an extraordinary musical world that flourished in rural isolation before the days of recording technology and that had largely disappeared by the middle of the twentieth century. We know that world largely through legend, but because John Salyer’s family had the foresight and dedication to record his playing some fifty years ago, a piece of the old music of eastern Kentucky has been kept alive. John Salyer’s home-made childhood fiddle, restored by Anja Burgess. – Image courtesy of Sharon Isaac. 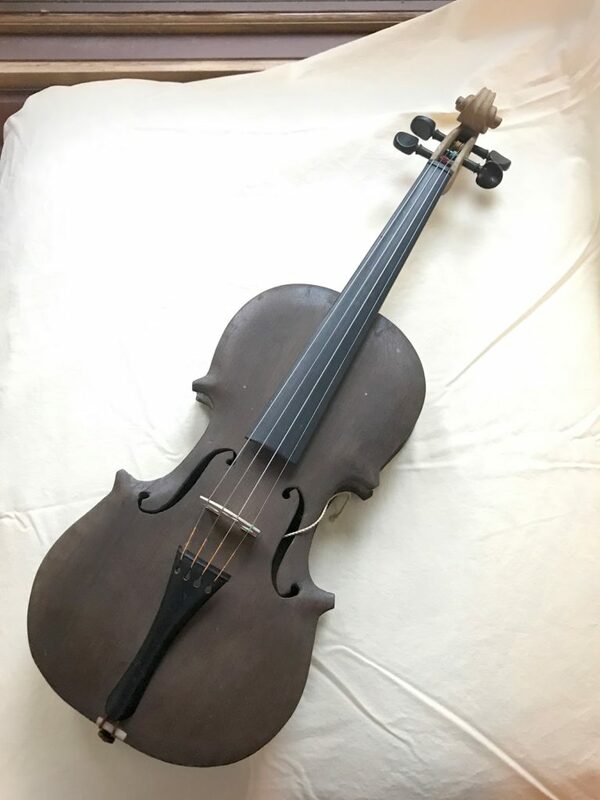 To read more about the restoration of this fiddle, see the links at the end of this article. John was born, January 20, 1882 on Birch Branch of Burning Fork of Licking River, the son of farming parents, Morgan M. Salyer and Katherine Patrick. When he was about eight years old, John fell out of a tree and broke his leg. His father (a fiddler) bought him a half-size fiddle to keep him occupied while recovering. With this opportunity, John began to show a great deal of talent, and according to his son Grover, “it was not long before he could hear a piece and then play the piece himself.” In those days, learning to play the fiddle was largely a matter of watching, listening and practicing, since generally the old traditional fiddlers did not give lessons. Inspiration for a young fiddler, however, was everywhere in the late 19th century, since every rural community had its musicians and singers and its own style of music that was handed down through the generations. It would be twenty years before cars would show up in Magoffin County, and people did not travel far or often, so music was centered in the home and neighborhood, as an important and much-loved part of everyday life. 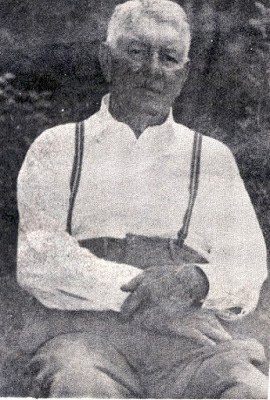 One of John Salyer’s close neighbors, and eventually his closest musical partner, was Willie Fletcher, who was born in 1871. John learned many of his tunes from Willie and greatly admired his musical abilities, considering him to be “the sweetest and smoothest fiddler he ever heard.” Both John and Willie could play the banjo and fiddle equally well, and they visited each other’s homes frequently, playing for hours at a time. John Salyer spent his youth working on the family farm. He finished what is called the normal school and afterwards taught a year of school at the head of Licking River. According to Grover Salyer, John read a lot, was interested in history, and was a bible scholar. 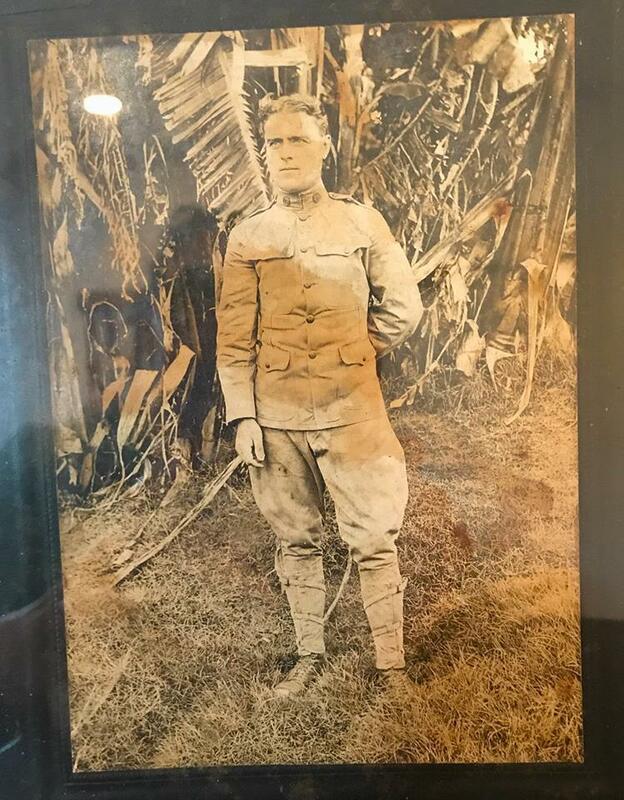 In 1901, he enlisted in the army and served three years in the Philippines. Following his discharge, he continued on around the world by ship, an unusual accomplishment at that time for someone from the Kentucky mountains. John returned home to marry Minnie Gullett on August 11, 1905. They eventually had nine children together: seven girls (two of whom died young) and two boys. By the late 1920s, John’s sons Grover and Glen were beginning to show an interest in music. After Grover learned to play the French harp and guitar, and Glen learned the guitar and mandolin, they would go with their father to friends’ houses for music and dances. Occasionally, on summer nights, they would walk the two or three miles to Salyersville and play in one of the local stores. Crowds would gather to watch, and often there would be a hoedown dancer or two. In the fall of 1933, an event took place that proved to have a great effect on John Salyer’s music life. John and his two sons, Grover and Glen, were invited by the Sandy Valley Grocery Company to be entertainers on an excursion to the 1933 World’s Fair at Chicago, Illinois. The fiddle that John Salyer took to the 1933 Chicago World’s Fair. It was restored by Anya Burgess. – Photo courtesy of Sharon Isaac. 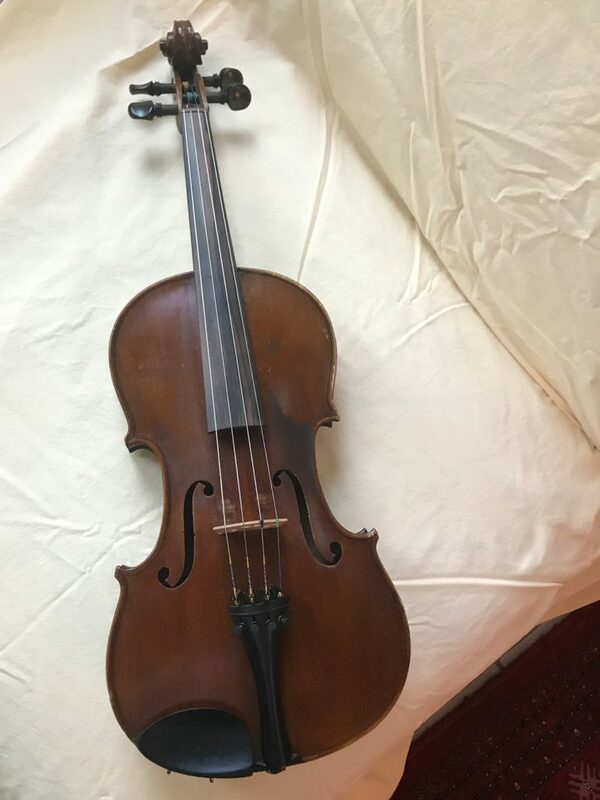 To read more about the restoration of this fiddle, see the links at the end of this article. The train started picking up passengers in Pikeville, KY and continued to Cincinnati, Ohio. The father and son trio boarded the train early in the morning at Paintsville. Immediately they began making music from car to car. John played the fiddle, Grover the guitar, and Glen the mandolin. The playing continued until they arrived in Cincinnati. There they were joined by the Gibson Girl singers. From there to Chicago, they alternated singing and playing. The trip was uninterrupted until they stopped in Kankakee, Illinois to switch engines. The next stop was Chicago about 10:30 at night. There they were greeted by a bag-pipe band. Most of the passengers had never heard bag-pipes before. Three days later, the trio returned home to Magoffin County, tired and with blistered fingers from so much playing, but with unforgettable memories. John never did pursue recording but continued to farm and supplemented his income from time to time with public works jobs. Because he could type, he worked at the courthouse in Salyersville in his spare time transferring deeds and other documents to the permanent record for both the county clerk’s office and the circuit court clerk’s office. He also served twice as a police judge for the county. From the late 1930s on, John occasionally worked away from home as a pipe fitter for the oil companies around Knoxville, Tennessee and Huntington, West Virginia. At one time, he was office manager for the Kentucky Utilities Company in Johnson County. It was in the early 1940s when Grover asked his father if he might record his fiddle playing so that future generations in the family would be able to hear it. But John had not forgotten his encounter with the recording scouts, and it took much persuasion on Grover’s part to get him to agree. In 1941, working in Charlestown, Indiana, Grover went to Cincinnati and bought a two-speed Wilcox-Gray disc recorder and some blank discs. He would go home on weekends and if circumstances allowed, they would play and record. Over the next year or so, approximately ninety sides were recorded, including many fiddle solos, fiddle with guitar, and fiddle with both sons playing guitar and mandolin or banjo. (Editor’s note: DLA and Berea both have 84 tracks available. Could we be missing some?) There were also three banjo tunes by John Salyer and several with Claude Helton, a highly respected banjo player from nearby Bloomington, Kentucky. Later in life, he was elected Police Judge of Salyersville, Kentucky. He always liked reminiscing with citizens of the county, recalling dates of marriage, births and deaths and great periods of history. John continued to play until the last few years of his life, and despite all the changes in the world around him, he never compromised his devotion to the old music. By the time he was in his fifties, John began to show signs of having diabetes. 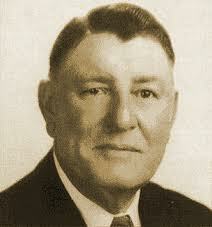 It is thought that problems related to insulin caused his eventual death on November 28, 1952. He was 70. Editor’s note: This text was taken from oldtimemusic.com with permission, but it originally appeared in the notes to the cassette tape “‎John Morgan Salyer – Home Recordings 1941-1942”. The true brilliance of John Salyer’s playing is in his mastery of rhythm and phrasing. He was primarily a hoedown fiddler – one who played the lively, rhythmical tunes essential for square and flatfoot dancing – and he was well-known in his day for his unwavering sense of time and his remarkable bow control. He was equally good at hornpipes and slower pieces, and he had the uncommon ability to play a tune fast and driving one time, and with leisurely graciousness another time, to suit his mood. In this sense, he can be considered to be one of the great solo fiddlers, for he not only maintained impeccable timing by himself, but he phrased his tunes in a way that made them complete in themselves, even without accompaniment. Salyer was a master handler of the bow in a style based on the old-time shuffle, a bowstroke that was used to provide a good rolling rhythm or “swing,’ as well as the kind of intensity and momentum that was necessary for dance music. He employed the shuffle stroke with great variety and subtlety, interspersed with pauses, rapid saw strokes, and great sweeps of the bow. In the solo realm, he played with several different tunings, or “wildcat keys,” as they were called, which were particularly well-suited to unaccompanied fiddling because they allowed open strings to sound sympathetically or to be played as drones along with the melody. Finally, he filled out his tunes with subtle and judiciously placed trills and triplets, and trembling notes achieved by both the bow and the noting hand. This use of ornamentation was characteristic of many of the older eastern Kentucky fiddlers, such as Blind Bill Day, Manon Campbell and Alva Greene, and would seem to hearken back to the old world ancestry of the music. As a body of music, the tune versions Salyer played were nearly all unusual. He played many so-called “crooked tunes”, that is, tunes with extra phrases or beats thrown in, or else beats dropped from what is generally considered the standard thirty-two beat fiddle tune. Whether this was a personal idiosyncrasy or a particular stylistic tradition John Salyer followed is hard to ascertain, but it was fairly common for eastern Kentucky fiddlers to employ considerable structural freedom in their tunes. John Salyer’s repertoire was large and varied. He played an impressive range of hoedowns, hornpipes, song melodies, and solo fiddle pieces, some well-known and others quite rare. Taken together, the Salyer home recordings add immeasurably to our understanding of eastern Kentucky fiddle music, for they reflect a substantial portion of the repertoire of a highly-skilled fiddler playing in his prime – a fiddler whose playing was almost completely uninfluenced by music outside his own region. In this respect, the recordings of Salyer are extremely valuable, offering as they do, compelling testimony to the deep-rooted and powerful legacy of homemade music in the Kentucky mountains from an era now gone. Thank you for reading. 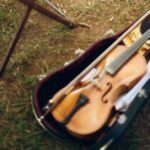 We hope to eventually repost all the fiddler biographies from oldtimemusic.com with some additional resources and information. Please stay tuned! Please contribute your knowledge, too! We would like this to be a growing resource of information. Please post any personal stories or resources that you know of in the comments below. Now that we’ve had a look at the past, let’s look at what some contemporary players are doing with Salyer tunes. I snuck in one of my own. Is that cheating? The band “Hog-eyed Man” takes Salyer’s high-powered & wild “William Reilly” and turns it into a slow, beautiful and almost creepy tune. Jason Cade on fiddle, Rob McMaken on mountain dulcimer. Grace Forrest tackles a C tune by Salyer and makes it sound almost like it’s in cross tuning. I think she should have won 1st place! Paul Kirk’s old-time tune of the week series features an admirable focus on history, while taking unique approach: he loves tuning low. Here he plays a cross A tune (AEAE) in cross D (DADA) on the viola. Steve Blake playing Salyer’s Speed the Plow on a gourd fiddle made by Jeff Menzies. This video has been really popular on Facebook, and it’s finally up on Steve’s YouTube channel. You’ve probably heard Lost Girl, but have you heard Lost Boy? Please share your favorite interpretations of Salyer tunes, links to further information, and stories about John Salyer in the comments below. That’s a problem?!? Thanks for the note. I would add Bruce Greene’s great story about how he encountered Salyer’s tunes. Apparently, he met Grover who let him listen to the tunes but not record them. So, Bruce would learn a tune and then go to his truck and play it into a recorder. Eventually, he convinced the Salyers that if Berea College released them on cassette, it would not violate John Salyer’s insistence that nobody should profit from his music. Bruce said that after he got to know the Salyers, he was having trouble picking up one tune and he was allowed to record it once through. Great article, learned a lot,including something I was wrong about: he was named for his father, Morgan Salyer and not for the Confederate general John Morgan. A favorite fiddler! I was happy to read more about him. Thanks for posting this.